The SCM 110 is designed for customers who do not need a super heavy duty sweeper for high production day in and day out sweeping operations. 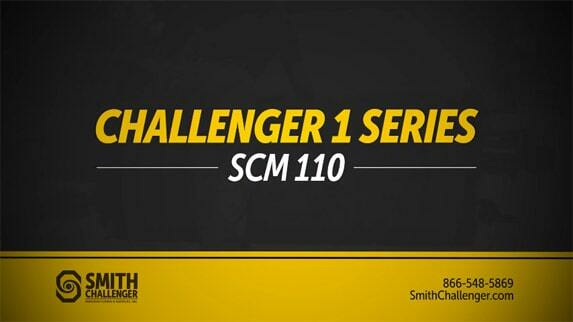 The SCM 110 is economically priced and designed for contractors, developers, cities, counties, and DOT. The SCM 110 features a manual quick change brush system and only requires two tools for a replacement brush change out. The SCM 110 is designed to be a removable attachment allowing it to be used on tractors ranging from 30 HP to as high as 60 HP. The SCM 110 utilizes a parallel lift assembly allowing the brush to be raised approximately 24” and pivot left to right approximately 40 degrees. A rear mounted hydraulic reservoir (approx. 30 gal.) and a PTO pump can be removed from from the tractor for other tractor functions.